Special Pricing! The Supersprint Crossover Pipe will delete the rear resonator ahead of the rear mufflers. 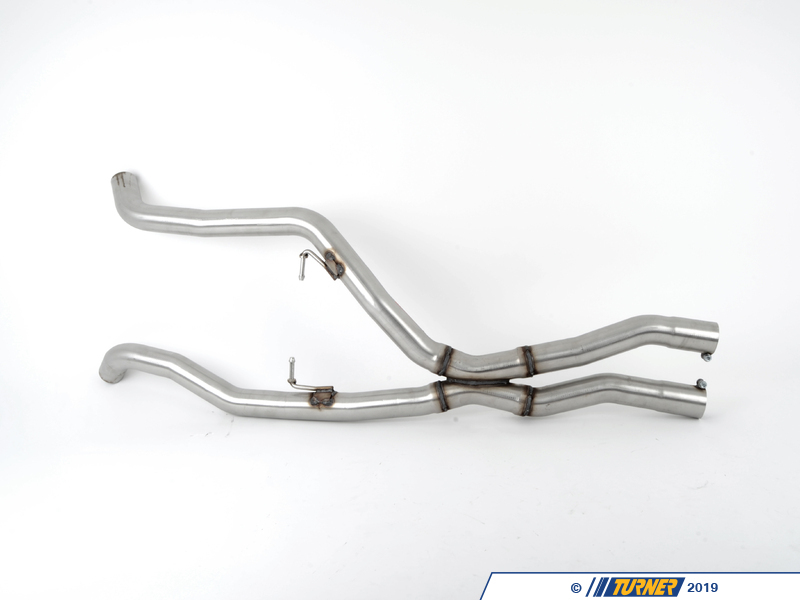 By removing the resonator, you can get more volume and growl from your exhaust as well as decrease exhaust restriction for slightly better power and torque. 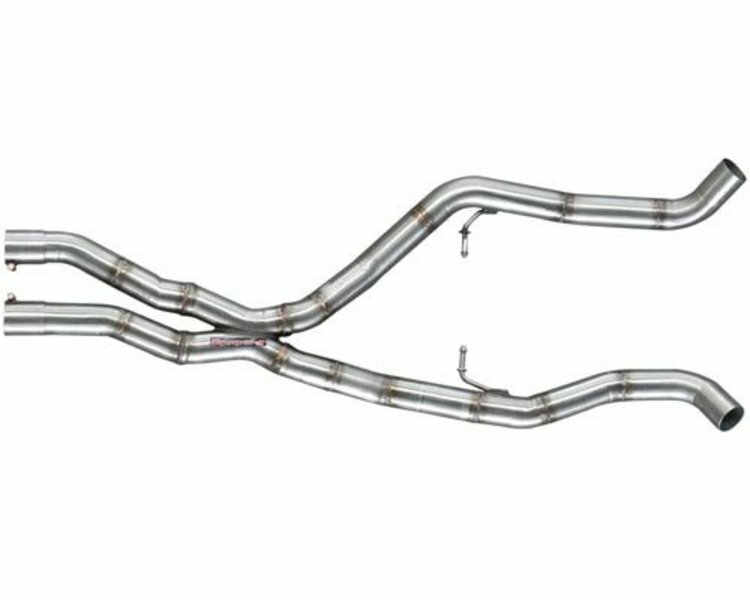 Deleting resonators makes a small but noticeable increase in overall volume so it's recommended that this is done after changing or removing mufflers. 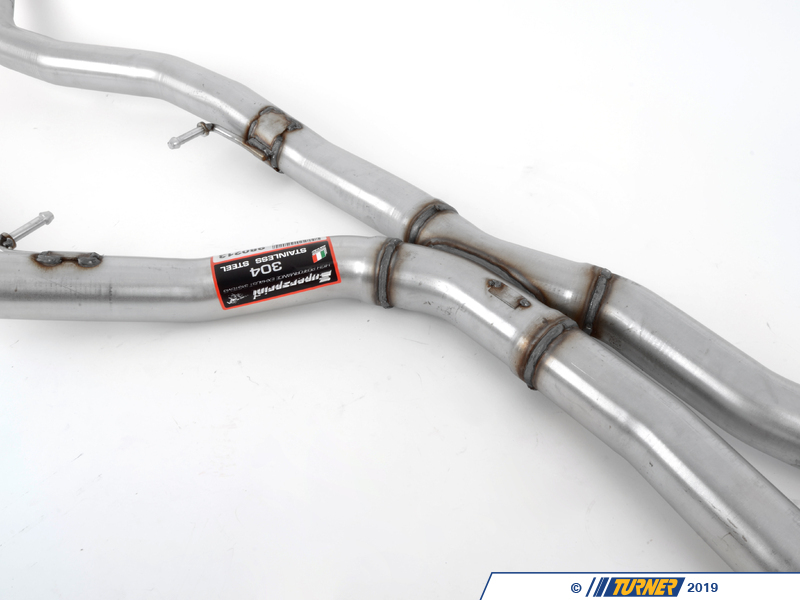 This x-pipe fits in section 2 of the exhaust - after the factory secondary cat section and before the rear mufflers. 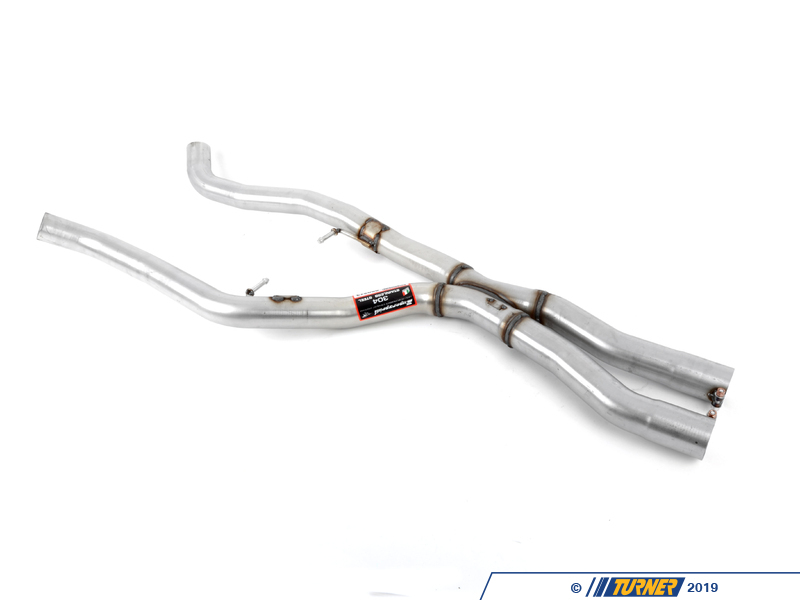 It's a direct install with Supersprint mufflers but any other set of mufflers may require custom professional installation to achieve a perfect fit.